Filmed over the course of 40 years, indigenous expert and filmmaker Vincent Carelli seeks out the origins of the Guaraní Kaiowá genocide. A conflict of disproportionate forces: the peaceful and obstinate insurgency of the dispossessed Guaraní Kaiowá against the powerful apparatus of agribusiness. 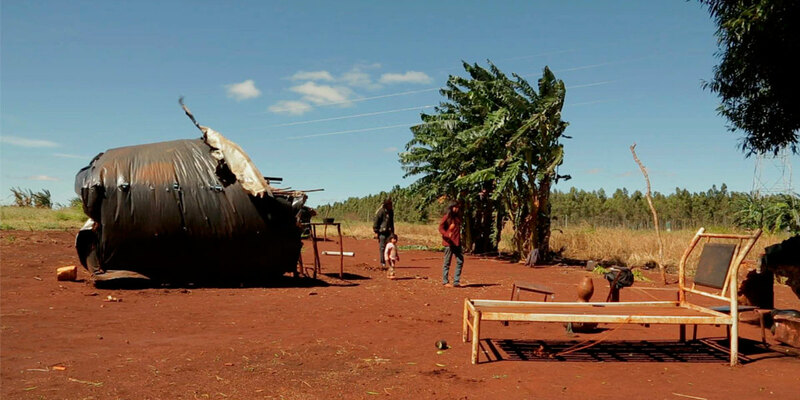 While fighting against the Brazilian Congress in order not to be evicted from their homes, the 50.000 indigenous people demand the demarcation of the space that belongs to them. With rigorous investigative work, this Brazilian director recorded the birthplace of the resistance movement in the 1980s and tells, with his own voice and those of the indigenous people, of the social and political injustices suffered. 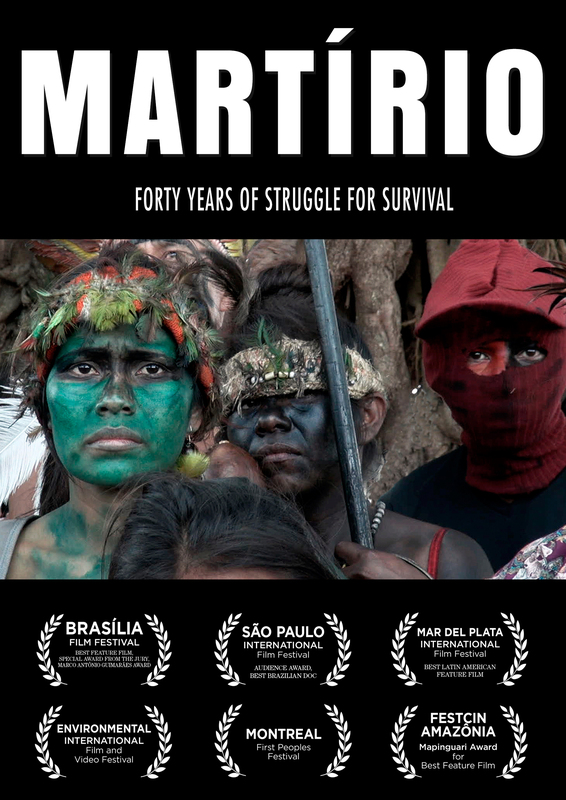 The stunning archival historical images, new footage, both color and black and white, hearings in Brazilian Congress, and even interviews with those opposed to the Guaraní Kaiowá’s rights, reveal the crudeness with which they coexist every day: among the violation of their civil rights and the fortitude with which they confront the usurpers. This epic documentary has become a sensation in Brazil and the ultimate testimony that unifies these unheard voices by “ethnocide actions,” the cruel synthesis of a conflict without a foreseen solution in the near future. Vincent Carelli is an iconic figure within indigenous media and pro-indigenous activism. Not only has he made myriad films in favor of indigenous people, he has favored the making of films by indigenous people thanks to the Video in the Villages project, an institution that supports the struggles of indigenous peoples to strengthen their identities and their territorial and cultural heritage through audiovisual resources, in 1986. Since then, Carelli produced a series of 16 documentaries about the methods and results of this work, which have been shown worldwide. A Arca dos Zo’é (1993) was awarded in several festivals, including the 16th Tokyo Video Festival and Cinéma du Réel. In 2009, Carelli released Corumbiara, which won the 37th Festival of Gramado, about the massacre of isolated Indians in the state of Rondônia (Brazil). Corumbiara is the first film of a trilogy in development that brings Carelli’s own testimony of emblematic cases experienced during 40 years of indigenous movement in Brazil. Martírio is the second film of this series which will end with the completion of the film Adeus, Capitão!, still a work in progress. Ernesto de Carvalho is a filmmaker, anthropologist, and photographer. 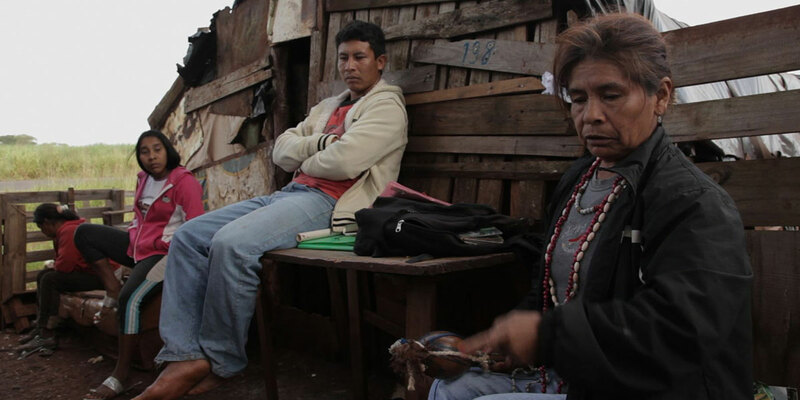 For the last 10 years he has been running video workshops among different indigenous communities in Brazil, connected to the Video nas Aldeias Project. Always in collaborative engagement, he photographed The Master and Divino (2013); co-directed Guarani Exile (2011), and edited I’ve Already Become an Image (2009), among other award-winning documentaries. Tatiana Almeida is a filmmaker and video editor. Since 2009, Tita actively collaborates with Video nas Aldeias Project, where she’s been working on video editing and video workshops. Her most recent work is The Native’s Brazil: An Open Archive, a video installation conceived for the 32a Bienal de SP, in collaboration with Ana Carvalho and Vincent Carelli. “With more than forty years of living and working with indigenous people, anything that involves them is a matter of great concern to me. The case of the indigenous Guaraní-Kaiowá people genocide is the most dramatic situation of the indigenous reality in contemporary Brazil. The number of homicides grew in an exponential way since 2011. The political situation in Brazil has greatly deteriorated in the last time, and the future looks so grim for all of us, even more for the indigenous people. Only Brazilian civil society can do something in favor of them and against this appalling genocide. 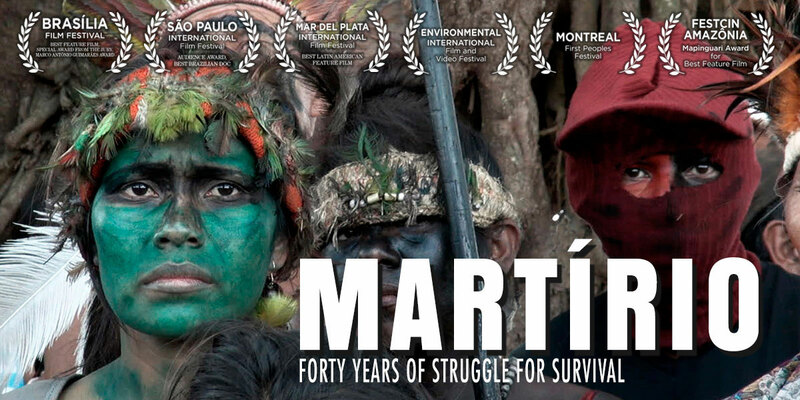 Martirio is a resource in front of a seemingly never-ending dramatic clash. – Vincent Carelli, director and leader of a group of filmmakers deeply involved with the drama of the indigenous Guaraní-Kaiowá people in Mato Grosso do Sul.